If you’re eyeing a profession in the scientific community, say, as a biologist or chemist, you might think that your art courses won’t help you achieve your professional goals. After all, what do paintings and sculptures have to do with studying the natural world? The arts have a lot to teach you as you build your scientific career. Though it might not cover the rigorous process of scientific inquiry, it allows you to see the world in a different light. Many charter schools in Glendale, AZ would tell you that that is important in investigating the world around you. Before we delve into how art helps you become an excellent scientist, let’s draw the two closer together. Despite the fundamental differences, science and art have significant parallels. They’re both an attempt to understand the world. Scientists and artists have a vision — the former uses experiments to gain new insight, while the latter creates art to communicate a concept. Both share the result of their work with the community at the end of the day. The theoretical nature of some scientific fields has caused a perception to form that the problems scientists investigate are detached from the rest of the world. This is, however, not true. A researcher works within a specific context and predicts the significance of his or her study to a community or group of people. Let’s take climate change as an example. Studying the cultural context helps one understand how people see the problem. Climate change incites hot debate outside the scientific community, so it would help to understand what drives people’s opinions and behaviors. When you study art, you see the world from another perspective. Watching movies, examining paintings, and pondering over sculptures train you to put yourself in the shoes of others. And this helps a young scientist build empathy. Although a scientist works with empirical data, research is often done with and for people. Empathy makes it much easier to deal with a colleague, a participant, or a representative of an organization that would fund your study. One of the most important duties of a scientist is to report the results of his or her study. A lot of people, however, might be bored listening to a bunch of numbers, units, and terms they don’t understand. This is where science communication — the act of sharing complex, scientific ideas faithful to the facts in an engaging way — steps in. Art teaches you to communicate with different kinds of people. You become an effective communicator, finding creative ways to share what you’ve learned to people who would benefit the most. When the pressures of studying become too much, art can be your respite. 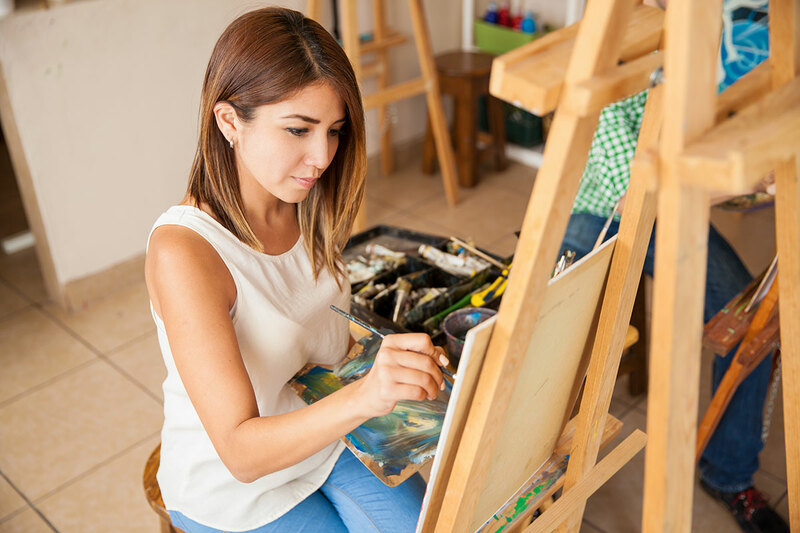 A study published in the Journal of American Art Therapy Association found that 45 minutes of making art lowered the levels of the stress hormone cortisol. Participants also reported that the art-making sessions were relaxing and enjoyable. Art isn’t just made for art’s sake. So, even when an art course seems like the farthest thing from helping you become a scientist, it shapes you in ways that STEM subjects just can’t. They teach to see the bigger picture, empathize with the world you seek to understand, and communicate your results well. All these things help further your career in the sciences. Contact e-Institute High School for inquiries about our art subjects.